A beginner’s guide to finding the guidance you need. I need help finding a true teacher of the craft! How do I know if I’m a Witch? 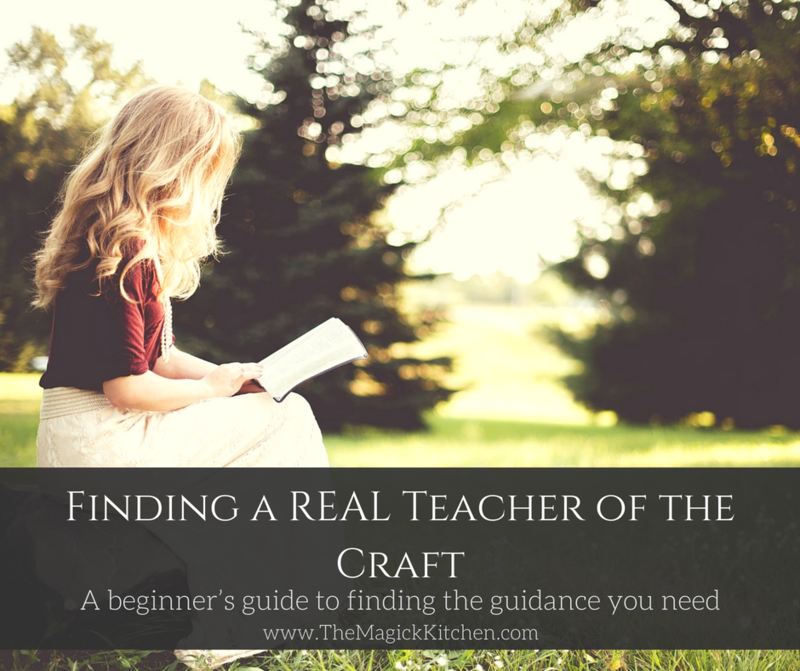 How do I find a teacher of the craft? Should I join a coven or stay solitary? What do I need to know and how do I learn what I need to know? Why does it seem like there are no good teachers out there? How did you know you were a Witch? I hear you, and I understand the position you find yourself. I hear your prayers for a teacher who will help you know the path that calls to you from deep within. I know the urgency you feel. You feel the burning to walk this path with authenticity. You’re in the dark and stumbling around, searching for a flicker of light to help you find your way. What should you know, and how do you know it? Is anyone out there willing and able to help you figure it all out? You know you need to surround yourself with like-minded people, but where are they? You need to find those who know what you want and need to know; those who are willing to teach you. This deep-burning need consumes you, and your lack of direction frustrates you. Why does it seem difficult to find those with the knowledge you seek? Why are they hiding? Where are they hiding? I also know the resistance you face. You must dodge or endure the bitterness, judgment, and the chastising views forced upon you by those who refuse to understand this path. They don’t understand your longing to find your place in this world. This wall of disapproval can prevent you from openly seeking your mentor. The truth is the same resentment, resistance, and damnation you face, so too our much-needed elders face. Our elders are precious reservoirs of knowledge who deserve respect. Yet they seldom receive the respect they deserve. They hide to preserve the knowledge they keep and to preserve their livelihoods. Over the centuries those who protect the sacred knowledge of the Craft have been forced to keep that knowledge well hidden. Well, most of them anyway. Over time false accusations, enhanced by colorful fiction, and other condemning narratives have become associated with the Craft and occult. Individuals within our communities are often harassed and judged by those who hold a solid misunderstanding of our paths. I too have been the target of harassment, simply because I was openly wearing my symbols of faith. One such occurrence I can recall happened as a well-regarded High Priestess (wearing her pentacle) was offering a hot cup of coffee and a sandwich to a homeless man on the street in December. Another man decided he needed to make it a point to embarrass and harass this woman. These occurrences happen more often than they should. More than once I have been approached by strange men in bookstores as they proselytize to me. These fanatics openly, and loudly condemned my spiritual and religious path, to the point where security had to intervene. These instances make you fear for your safety, leaving you to look over your shoulder as you go to your car in the parking lot. You wonder how far these people might take their desire to harm you and to what level will they express their hate. Harassment and disconcerting confrontations have caused our elders, and teachers to be very cautious about whom and when they teach. In addition to the persecution we all face from the secular-religious community; our elders also face disrespect as many seekers or students turn out to be false. Many elders can identify with pouring their heart and soul into lessons to only later discover that the student or seeker they are serving is in it for superficial reasons; like the shock factor or to bring alive Hollywood fiction that is misleadingly associated with the Craft. This in addition to the condemnation received from the secular communities is enough to force many treasured teachers and elders into hiding. However, as you have experienced, hiding causes another kind of issue for those who genuinely desire to know and practice the Craft. Over time the knowledge of the Craft becomes in danger of completely disappearing. The good news is that many teachers and elders resist hiding away. Many of us refuse to allow superficial seekers or secular views to force us into hiding. There are many out there who willingly, yet cautiously, take in dedicated students. It is these brave souls who help continue the old ways. Where and when you find them can be surprising. The teacher often appears to the student when the student least expects it. The method in which the teacher appears can also be surprising if not completely obscure. Many great teachers are hidden in plain sight, ready to take in eager seekers when the time is right. Depending on where you live and the level of acceptance and the level of diversity within your community, your task of finding the knowledge you seek can be made harder. It is important to know you are not alone in your quest. Yes, I know you feel like you are alone, but trust me you are not. Take heart and know that there are plenty of brave and experienced souls out there who make themselves available to teach. Over the past several weeks I have received many desperate requests from individuals asking for help in locating qualified teachers and elders. Many of you have come to realize that there are too many so-called elders or teachers out there posing as knowledgeable and experienced leaders. It is understandable since the void left by those who go into hiding must be filled by someone. When we appear to have no qualified teachers and elders to guide us, many will become self-proclaimed in this area. This made me realize that in my previous posts on this subject, I have only just scratched the surface for you. I want to give you more. I want you to find the right teacher who will guide you to your true path. The following are several ways you can find teachers. Some methods will require you to demonstrate your dedication to your path. You may even need to introduce yourself to the leaders of your community or get involved with community organizations and projects. I assure you the more you do, the more you will get out of the experience. First, let’s discuss what it means to be a student of the Craft. Is this path right for you? When you first sensed it, the feeling might have been subtle. Perhaps, at first, it was easy to ignore. Now that feeling is growing. It calls to you from the deepest recesses of your soul. That yearning for knowledge and understanding is pulling you in an unknown direction. This feeling seems most intense when you duck into the Metaphysical or Occult section of the bookstore or library, and you begin thumbing through the many books available on Magick, Wicca, and Witchcraft. Your heart races in your chest. There is a voice inside you screaming to know more, but there is also resistance. There is a wall blocking you from diving in and reading every book on the shelf. What’s stopping you? Why do you resist your soul’s desire? Then you hear it, the echoes of condemning voices in your head. Perhaps it is your mother’s voice… your pastor’s, or father’s voice. Too many times you have been told this is a dark path. Too many times you have been told this path will lead you to ruin. Yet, there has never been any solid proof provided to you of this claim. You know in your heart that this path is not devil worship, nor will it lead you to certain destruction. From what you have read you know this path is about the Earth and caring for the spiritual essence in all living things. You know it is about personal responsibility. You know it is not about blaming some distant-omnipotent God for your troubles, perceived shortcomings, and mistakes. It is about affirming your authenticity as you live your life. It is about finding and growing your strengths. This path is about balance. It is about owning your existence and living vibrantly. It is about becoming whole. Now you begin to ask yourself, “Why am I so afraid?” You know the path of your parents, grandparents, and secular religious leaders follow is not right for you. You are not even convinced that the path they follow is right for them, but they follow it anyway… perhaps out of habit or fear. You may never know. What you do know is that they stick to rigid and bias ideas which seem deeply ingrained in their minds. How can they tell you what is right for you, when they don’t even seem to know what is right for themselves? In writing this post, please know that I am speaking to those of you out there who are over the age of 18. Those of you who are under the age of 18, I am in no way encouraging you or suggesting that you rebel against your parent(s) or guardian(s) rules or wishes. In my tradition, I do not teach anyone under the age of 21. There are many traditions out there that follow similar rules. Until you are of legal adult age, you must follow the rules of your household, so long as they are safe and legal. Before you become a student of the Craft, you must understand that this is not an easy path. There is a lot of work ahead, and there is much to know. The knowledge you seek is vast and spans many lifetimes. There is a sincere reason why many covens and teachers work through degree systems. These systems help the student develop and demonstrate their understanding of esoteric concepts and practices. You will need to give yourself a break as you refrain from placing unreasonable expectations on yourself. Allow yourself to absorb the information you seek before you move on too quickly to other topics or theologies. You will also be expected to practice what you learn. You are responsible for your education and progress. In many cases simply reading about something will do you no justice, nor will it serve the theology or practice. You will need to incorporate the techniques and practices you read or learn about into your daily life. Witchcraft is not a passive theology. It is a lifestyle. To become knowledgeable and experienced you need to walk the talk. As you start out also keep in mind that Wicca, Witchcraft, and Paganism are immense. There is no single theology or cookie cutter philosophy that will represent or explain all of our faiths. Even those who practice similar traditions can have contrasting ideas and practices. It is critical to keep an open mind about what is what, and who is who. This will also lead you to understand that there is much for you to explore as you find the path that is right for you. If even after knowing these minimal requirements this path still speaks to you, then congratulations! It is likely you are a true seeker, and you will become a valued student to a wise and knowledgeable teacher of the Craft. When you know you are ready and willing to put forth the effort required, it is time to start finding your way. When it is time to make this path your own, you will feel it with every fiber of your being. It is also at this moment you will realize that you have no mentor or teacher to help you. You might feel the panic well up inside. Where do you start? Who will help you? What do you need to know? Take a breath. You will find what you need, and sometimes what you need will find you. Have faith that when you are truly ready, the teacher and resources you need will become available. If you were at my door, and you demonstrated an interest in my tradition along with a solid dedication to the long road ahead, I would gladly take you in and begin teaching you the lessons of my tradition. If your entire being resonates with this experience, I know you will find the teacher you need. Have patience and keep your heart open and dedication at the forefront of your search. In the meantime, here are a few ideas you can incorporate into your search as you make your intentions to become a student of the Craft known to the universe. Books are usually the first resource teachers recommend for learning what you want and need to know about the craft, Wicca, Paganism, Magick, etc. Especially when you are just starting out. Reading about the practices and theologies of this path will help you determine if you are truly a student of the Craft. Through reading, you will have the opportunity to judge if this path is indeed right for you. There are many authors out there offering their years of knowledge and wisdom to seekers like you. The nice thing about offering knowledge through books is that the author can give you advice without putting him or herself directly in harm’s way when it comes to secular backlash or prejudice. They can offer their words of wisdom under a pen name allowing them to remain anonymous and relatively safe. So, YES! Buy books and read them by the truckload. Read about different theologies, techniques, and practices. Just keep in mind that reading will only get you so far. At some point, you must apply what you learn. If you have attended one of my lectures on ritual, you will know I speak in detail about the purpose and importance of repetition as it helps you gain perspective and wisdom. Even as a seasoned Witch I read often. 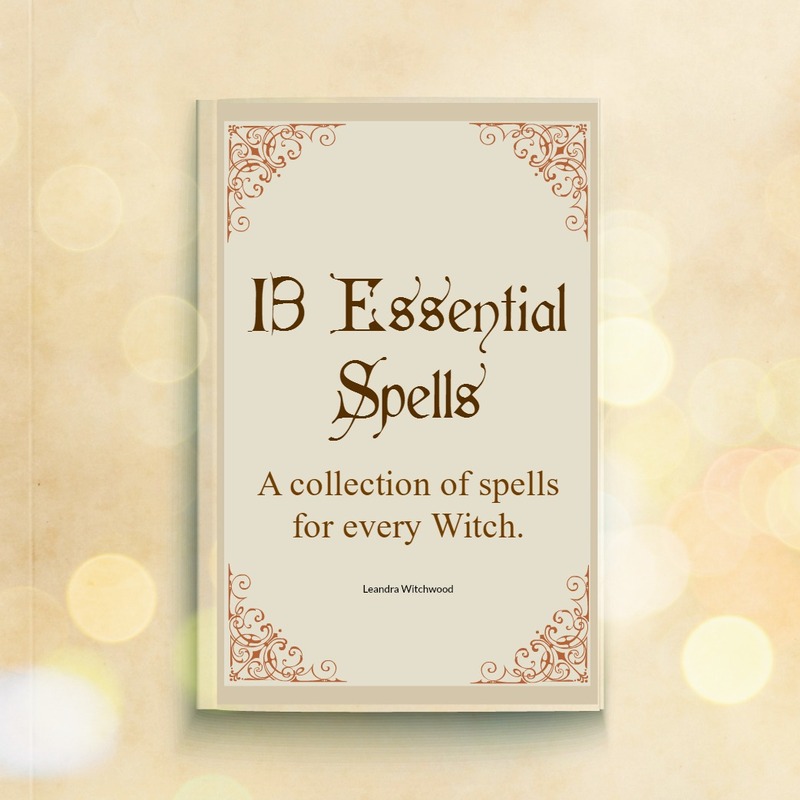 There are thousands of books available on the Occult, Wicca, and Witchcraft written by many credible and revered teachers. Read everything you can on the many subjects that interest you. Read books from a variety of authors on similar subjects. Read about anything and everything you can. This will give you a broader perspective of the subject at hand. Through gaining a perspective, you will better understand the theology and techniques offered. I also recommend you read books on subjects that might not seem related to the Craft. Perhaps in your study of magick, you also pick up a couple of books on Quantum Physics. Or perhaps you read books on many different types of magick, from color and candle magick to sympathetic and mental magick. The key here is never to stop reading and learning. Witchcraft is an intellectual path. Witchcraft will demand you always to expand your mind and understanding. Blogs are also another great source of information and perspective. Blogs can be candid and straightforward. Often, they can get to the heart of your question or the subject without too much fluff. I do advise caution in this area. Seek out blogs that have good reputations in the community and ones that have been around for a few years. Do your research on the author, know their background so you can better understand their viewpoint. Knowing who they are and how they came to be will also give you a better idea of the level of knowledge and experience the blogger has. Newbies, leading and teaching newbies is never a good idea. Look for blogs written by those who have been in the community for a while. Look for bloggers who have written a couple of books on the Craft, led their own groups, done public rituals, etc. One does not simply join a coven. Yes, laugh with me that was a little joke. With all jest aside, there is truth in this statement. This is probably where most students and seekers hit a wall. Depending on where you live you might have a limited selection. Then there is the vetting process most covens require before you are accepted. This process can be time-consuming. You also run the risk of dedicating a year or more to a group to discover later that it was not a good fit after all. Please know that there is nothing personal in these processes. The elders (or High Priest/ess) of a coven have a distinct responsibility to the group. Their main priority will be to ensure that you are a good fit for their little family. Many will require you to hang out with them for a long time before they really begin to teach you the “nuts and bolts” of their tradition. Many covens work with a degree system. These systems are meant to test the seeker and student on their readiness and comprehension of specific theologies, ideas, and practices. In many cases, you will spend a lot of time with this group as a seeker before you begin your training or become initiated into the coven. Depending on the coven and their bylaws you can spend anywhere from a few weeks to several months as a seeker before you are initiated or dedicated to the coven. Again, don’t take this process personally, these processes are meant to measure and ensure you are ready and willing to put in the effort required. Be assured that when you find a group with this level of caution or structure, you have found the real deal. Once you pass the vetting process, you can settle into your new group. Great covens treat each member like family… actually… they treat one another better than family. They not only become a wealth of knowledge from which you can expand your understandings, but they also become your trusted tribe whom you can rely on in times of crisis and need. They will support you, look after you, guide you, and more. The key is to find a coven that suits you and vice versa. Think of it like a puzzle, each piece (or member) needs to fit seamlessly as the group creates a beautiful and functional whole. While covens are often an ideal environment where you can learn, they are not your only resource. You have plenty of options available to you, and I encourage you to experience the variety this path offers. Study groups seem to be rising in popularity. Often covens will use study groups as an informal method for weeding out those who may or may not be a good fit for their group. Sometimes study groups are formed because several seekers who might wish to remain solitary, need a place to learn and explore with other like-minded individuals. I recommend all new seekers and students start here, especially if you are new to a community. You can locate open study groups and public circles using many social media outlets and websites. I will list some resources at the end of this article. When you network with others in the community, even on a social level, you open yourself up to the possibility of creating deeper connections. As you connect and socialize you give yourself a chance to get to know many of the other Witches and Pagans in your community. This will help you make a more educated choice about your path down the road. It may even help you decide what group(s) or coven you will join because you already know the people from other interactions within the greater community. Use caution with these groups. Like I said before, newbies leading, and teaching newbies is dangerous. It can create many frustrations and lead to misunderstandings of topics, practices, and theologies. This is another area where you will want to do some research. Is the group led by an experienced teacher? If so how many years has the leader been studying? How many years have they been actively practicing? How did they learn what they teach and know? Where else do they show up in the community and how are they regarded? Notice I mentioned that you should question how long the leader or teacher has been actively practicing the Craft? This is an important element many seekers and new students don’t realize. I too overlooked this critical element when I was new. I didn’t know better, because I had no mentor to help me understand. I had to learn this valuable lesson on my own. The reason this is an important investigative element is that book learning, or the consumption of knowledge can only take you so far. To truly understand the theologies and concepts in books one must implement them. It is only through repetition and practice that we gain true understanding. Steer clear of leaders and teachers who have read a ton of books but have only recently begun practicing what they learned. Or worse, they don’t practice at all. Knowledge put into practice leads to experience – experience leads us to wisdom, and through wisdom, we can lead the next generation to knowledge. To get a better idea of how a study group might benefit your path check out The Indigo Heart Study Group on Facebook. These groups tend to meet regularly in a public place (like coffee shops & bookstores) and are usually open to all who wish to attend. They are meant to strengthen our communal bonds as we get to know others within our community. These groups are made up of a variety of Witches and Pagans from many traditions. If you have a group like this in your area, by meeting with them regularly, you will have a chance to talk with those who practice different paths. You can gain a basic understanding of what they believe and how they practice. When you have a better understanding of the different traditions available you will better know which will best suit your path. This is also a great way to connect with those who might seek to open their circles up to new students. Networking is always a valuable tool to utilize. As you develop positive relationships, you will have a community of acquaintances and friends ready to vouch for you when needed. Many teachers and coven leaders are picky about whom they will teach. Rightly so! Teaching is exhausting, and if the student is not dedicated to the cause, all efforts are wasted. This is where networking will help you in the long-run. Through developing a positive reputation in the community, you will have solid backing for any application you submit or request for the education you make. Maybe the coven thing is just not your style. Maybe you prefer a more personal approach. In a few traditions, elders or teachers will only take one or two students or apprentices under their wing at any one time. These types of teachers are often found in very specific traditions and seem to be few and far between. After all, it is much more efficient to teach many students at one time, compared to one at a time. Naturally, the one-on-one style of teaching is somewhat hard to find, BUT not impossible! The one-on-one approach to teaching is ideal when you are looking for someone’s full attention. Through this model, you will have the opportunity to understand the path as distractions are limited more readily. You will have your teacher’s full support and attention. There also seems to be less drama with this style of learning. You will not have to delay lessons if a coven mate is late, nor will you have to hear the excuses they present for causing the delay. For those of you who don’t deal well with group settings or the baggage others sometimes bring with them, one-on-one attention might be for you. Other benefits to working in a singular style are when you reach the necessary understanding of a subject, you can more quickly move on to the next, without needing to wait for someone else to catch up. Or if you have trouble with a lesson, you can spend more time on it until you reach comprehension. The one-on-one style of education allows you to arrange your lesson schedule fitting your needs more easily. You will have the opportunity to develop a more intimate relationship with your teacher and mentor, and more. I prefer this style of teaching. In my tradition we follow a Master and Apprentice model, meaning I only take on one to two students at one time. This allows me to dedicate my time and attention to each student fully. The downside to this style is that I (and teachers like me) strictly limit the number of students taught. This does not serve to grow a coven base, nor does it generate a large following. However, what I will sometimes do is lead a study group or online lecture series that is open to anyone who might show interest. Then as the true seekers and students are weeded out, I will begin teaching these few remaining students the deeper knowledge and mysteries of the path. As you can guess this takes time and patience. The benefit of this process is it allows both the master and student/seeker the opportunity to decide if there is a true commitment to be made. Finding this kind of educational model will mean keeping your eyes open and “feelers” out at all times. Often, masters who follow this model will not actively seek out new students. It is up to the seeker (you) to make your interest and desire known. Let’s face it. We live in a digital world. Even the “Old Ways” are not immune to progress. The benefit of having information right at our fingertips is that we can learn anything we want, where ever and whenever we want. We only need to do a little search, and there it is! More and more experienced teachers are taking to the web to teach future generations of Witches and Pagans. From digital books to video classes on demand, there is a wealth of knowledge available to you. Of course, this also creates some issues. Humans are opportunistic. There is no doubt about that. When it comes to learning esoteric knowledge online, there is a high probability you will be swindled. Many online courses are supplemental or basic at best. Meaning they can’t teach you the subtleties and intricacies of deeper or more complex concepts, because you are not in the direct physical presence of the teacher. Often the finer details of esoteric knowledge must be learned directly from a mentor, teacher, or master. Don’t believe the claims of some of these companies. Many claim to provide you with diplomas or 3rd-degree certificates once you pay hundreds of dollars and complete their courses. I guarantee you these courses are superficial at best and that is not what this path is about. Yes, take some of these classes to learn the basics. Online classes are great for learning basic knowledge. Or perhaps you read a book, and the author offers online classes as a companion to the book. This is a great way to gain additional knowledge and perspective. This is especially true if the author offers live classes where you directly interact with him or her online. You can ask questions and get the answers you seek. You might also have the chance to connect with others who read the same book or books. Please note that most of those within the Pagan and Witchcraft communities are OLD SCHOOL. Meaning if you did not earn your degree, ranking or status through traditional means, then to them, you didn’t earn it. I understand that this can be taken as extreme prejudice and unfair. There is a reason for this view. There are many posers out there seeking recognition for work they do not do. Therefore, our community has become very cynical towards those who do not put forth the right effort and dedication. As more credible leaders, mentors, and teachers come forward to teach online, this view will change. However, for now, be careful about earning your status online. Make sure you are learning from someone who is well respected within the Pagan and Witchcraft communities. Make sure you have frequent, live meetings with this teacher and the others they are instructing. Make sure they are sincere, this way you can rest assured that the knowledge you receive is accurate and legitimate. Doing a little research can go a long way! Just as attending regular social group gatherings can benefit your search, attending festivals and public events can provide you with the essential contact you need for finding a good teacher or coven. Depending on your location, will determine what events are available to you. Bigger cities and urban areas are likely to have a wider selection of events. The Lehigh Valley Network of Unified Pagans and similar groups seek to include a variety of leaders who lead workshops, discussions, and rituals throughout the day. 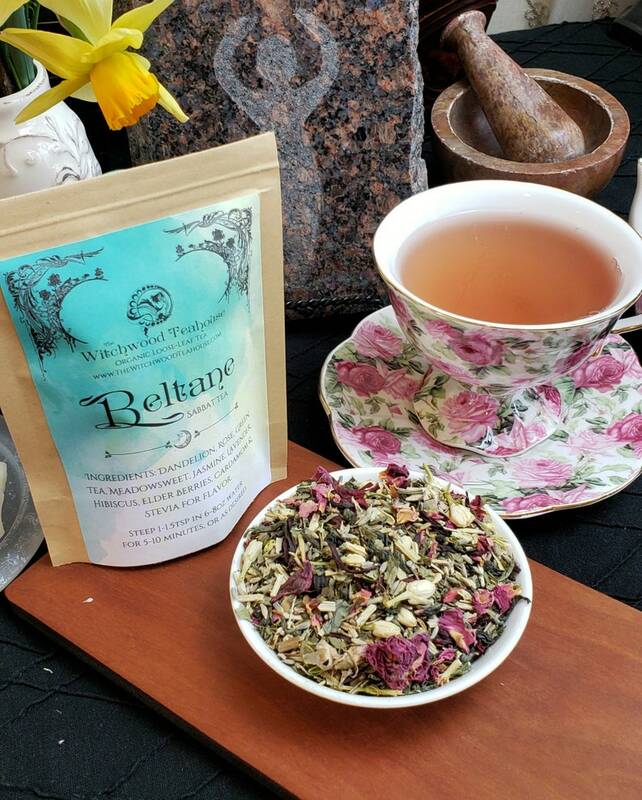 They want a well-rounded depiction of Witchcraft and Paganism at their events, giving seekers and new students like yourself a good understanding of what might be available. They build bridges of understanding where they are needed most. These organizations and their efforts help build strong communities that support everyone within. Also, think about volunteering your time with these kinds of events. This is another great way to let people get to know you as you get to know them. You don’t have to join the board or spend all your free time helping. Perhaps you offer your help during a PPD event where you man the information booth or help vendors and presenters set up their tables. Or maybe you help clean up after the event. The point is to be present and talk with others so you can get a sense of who and what is out there. Your greatest teacher is available to you 24 hours a day, 7 days a week. You only need to make time for her lessons. When I started out I was told more than once that all I needed to know I already knew. I just needed to realize the wisdom within. Through spending time in nature, I was able to realize that this is true. Nature is our best teacher in the Craft. All you need to know is available to you, you only need to seek it. Take walks on nature trails. Go camping. Sit by your favorite stream or lake. Listen to the birds sing and the water as it laps on the shore. Allow yourself to feel the rhythms of nature’s cycles. Take notice of the stability of the mighty oak and the flexibility of a daisy in the breeze. As promised here are some links, you can use to find groups and events in your area. 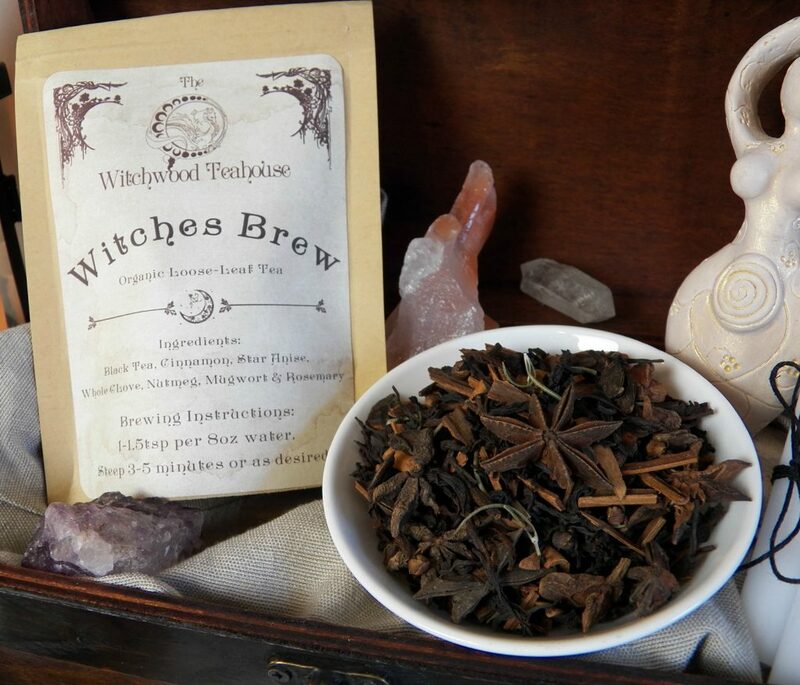 The Witches Voice or WitchVox is a long-standing and vast community of Witches and Pagans. There are listings of groups, circles, events, and helpful articles on this site that will help you on your journey. MeetUp not only offers listings for groups outside of the Pagan community, but in many areas, there are listings for study groups, and social groups you can join. Many groups often meet in public locations allowing you to size up what is available. Pagan Pride Days are essential for developing relationships with other Witches and Pagans. I encourage you to attend as many PPD events in your local area as you can. You will have the opportunity to talk with leaders and see some of them in action. In some cases, these events might seem like unlikely places to make lasting connections, much less a place where you might meet your mentor. While many of these events or weekend retreats are not specifically Pagan, they are almost always open to Witches and Pagans. There are also many retreats specifically offered to Pagans. Do an internet search for what might be available in your area. Then make a plan to attend as many as you can as often as you can.